To what extent do populations maintain positive views of ISIL or ISIL’s ideology, particularly in European, N. African, and Arabian Peninsula countries most associated with foreign fighter flows into Syria and Iraq? What are the general perceptions associated with ISIL endorsed themes, to include: 1) desire for re-establishing the Caliphate; 2) imposition of Shariah law; 3) belief that the Ummah/Islam is under attack from the West; 4) low tolerance for non-Sunni Muslim ethno-religious groups; and 5) negative disposition towards gender equality? Author | Editor: Canna, S. (NSI, Inc). There is ample evidence that by and large Muslim populations in the MENA region and Europe do not view ISIL favorably (see QL 3). However, there are many similarities and a few significant differences among these populations regarding the credibility and salience of many of the messaging themes that ISIL espouses. In Syria and Iraq, one of the largest groups of foreign fighters come from Saudi Arabia, raising questions about the overall level of support for ISIL among the general population. Generally, Sunnis in the Arabian Peninsula support Salafist and Islamist political agendas but reject ISIL’s claims to political and religious legitimacy (Lynch; Aguero). According to Tom Lynch, Distinguished Research Fellow at National Defense University, political Islam, which seeks to introduce conservative Islamic practices into the political sphere, is far more popular than the implementation of ultra-conservative Salafism as espoused by ISIL. Most Sunni Muslims in the Arabian Peninsula do not believe a caliphate is necessary to implement conservative Muslim political and social thought (Aguero). However, they share some of the same grievances about government that gave rise to ISIL in Iraq and Syria. An Anonymous academic, argues that the Arab Spring showed that populations in the Arab world are rejecting what they see as a dysfunctional system of governance across the region. There is a demand for greater participatory governance, social justice, and better economic opportunities. At the same time, however, they are supportive of the implementation of Sharia law, including low tolerance for gender equality and non- believers (Anonymous; Aguero). But it is important to keep in mind, particular in Muslim- majority countries, that Sharia is considered to be a way of life, not merely a legal code (Aguero). According to a 2014 Pew poll,1 making Sharia the law of the land has 74 percent support in the MENA region. Populations in the Arabian Peninsula strongly oppose westernization and modernization, seeing it as an attack on Sunni Muslim unity and heritage. Lynch argues that these populations can be animated towards short-term support for violent causes when they perceive non-Sunnis or non-Muslims to be attacking fellow Sunni Muslims. This helps explain why groups like ISIL can gain meaningful, short-term support in moments of perceived danger for Sunni Muslims. For example, 83% of Saudis consider Western cultural invasion to be a very important or important problem (Moaddel, 2013; Aguero). Furthermore, 84% of Saudis also ascribe to the belief that the Ummah and/or Islam is under attack by the West. In the past, Salafists from the Arabian Peninsula have provided material and financial support to Salafist jihadi groups opposing Bashar al Assad in Syria, according to Lynch. This anti-Assad support has also aided the rise of ISIL both directly and indirectly. Most Salafist support for ISIL has withered but some support still finds its way to ISIL. 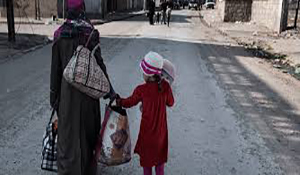 Mia Bloom, an expert on the nexus between women and terror, noted that ISIL is careful to shape its messaging in ways that resonate best with various female population groups. English messaging focuses on giving women in the West a frontline role in the combat, such as the Al-KhansaaBrigade. Meanwhile, Arabic messaging offers women more socially acceptable roles as wives and mothers. This is particularly the case in messaging to women in Tunisia where women are seeking romance and adventure (at a time when marriages are delayed due to poor economic conditions). In Saudi Arabia, the messaging is more about empowering women by showing women in ISIL-controlled territories (in full niqab) driving cars. Dr. Lynch concludes that the bottom line is that the depth and durability of conservative Islam in the Arabian Peninsula means that even if ISIL is degraded or defeated, the preconditions for another Salafi jihadist group to rise in its place will remain present for the foreseeable future. 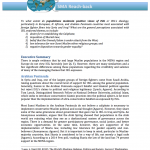 Muslim populations in Europe overwhelmingly reject ISL’s ideology and violent tactics (see Quick Look 3). However, a small percentage of Muslims—particularly youths—actively or passively support ISIL’s ideology and political objectives according to Marc Pierini, a visiting scholar at Carnegie Europe and former career EU diplomat. What we know about support for ISIL in Europe is that most supporters are relatively young (between 18-30 years of age), have experienced an identity crisis, are disconnected from their communities, and are marginalized within their own European societies, which have failed to integrate their cultural preferences into the European social fabric. In Britain, sympathizers tend to be highly educated while sympathizers in France and Belgium are often school dropouts, delinquents, have family problems, and face social exclusion and isolation, according to Pierini. What is also common among supporters of ISIL in Europe is that many of them have a superficial understanding of Islam, and are perceived by ISIL recruiters to be easy to co-opt and indoctrinate according to Pierini. Many Muslim families in Europe still hold traditional values even decades after living in Western Europe—according to Pierini and Mark Caudill of the USMC Center for Advanced Operational Culture Learning—including negative disposition towards gender equality and belief that Muslims are under attack from the West. What is clear, though, is that there is a generational divide where youth have a greater sense of frustration with their place in society compared to their parents. This is due, in part, to record high youth unemployment in Europe. Among disaffected youth in Europe, the Caliphate has appeal, according to Pierini and Raffaello Pantucci of RUSI. The Caliphate provides disaffected youth with a purpose, a sense of belonging, and an outlet for their frustrations, outlined Pierini. Recruitment of young Europeans by jihadist movements abroad is not new (e.g., Afghanistan), but the scale is unprecedented due in large part to ISIL’s massive and modern propaganda campaign layered upon economic and social frustrations of Europe’s Muslim youth. The appeal has waned in some degree as ISIL loses territory, Pantucci wrote. Its visible loss has led to a gradual loss of appeal and is one of the reasons for the reduction of foreign fighters from Europe. What is dangerous is that ISIL is intentionally seeking to exacerbate tensions between mainstream and Muslim communities in Europe, according to Pierini. They do this through recruitment of European youths as foreign fighters, facilitate attacks that exacerbate anti- Muslim sentiment, and actively nurture sectarian divides between these two communities. This inculcates a growing sense of uncertainty and powerlessness in the face of repeated ISIL-supported attacks and is shifting a segment of society towards extreme right/xenophobic political parties and movements. The migration/refugee crisis out of Syria exacerbates these tensions, Pierini argues. Like most of the Muslim world, support for ISIL in Northern Africa is quite low (Feuer). In 2014, an International Republican Institute poll found that only one percent of respondents believe that Tunisians should be joining Daesh. However, aspects of ISIL’s ideology finds broader support in Tunisia, especially when expressed in generic terms, including the incorporation of Sharia law, a nostalgic approval of the idea of a Caliphate—even though there is little support for the erosion of the nation state, and a belief that Islam is under attack from the West. Similarly, there is very little support for ISIL in the Sahel, but other Islamist extremist groups do operate in the area, according to Paul Melly, a Sahel expert at Chatham House. In general, popular support for extremists groups in the region is strongly driven by local conditions and politics rather than ideology. Another characteristic of extremist groups in the Sahel is their more extensive ties and crossover between extremist groups and criminal organizations. The largest transnational group in Mali is al Qaeda in the Islamic Maghreb (AQIM), but it is largely considered a foreign organization that does not match well with the local population’s Sufism. Other groups operating in the area, who draw support based on ethnic or familial ties, is Haut conseil pour l’unité de l’Azawad (HCUA) and Mouvement pour l’unicité et le jihad en Afrique de l’Ouest (MUJAO). Aside from familial or ethnic ties, other reasons that individuals join these groups include poor economic opportunities, anti-state ideas, and the breakdown of traditional society.